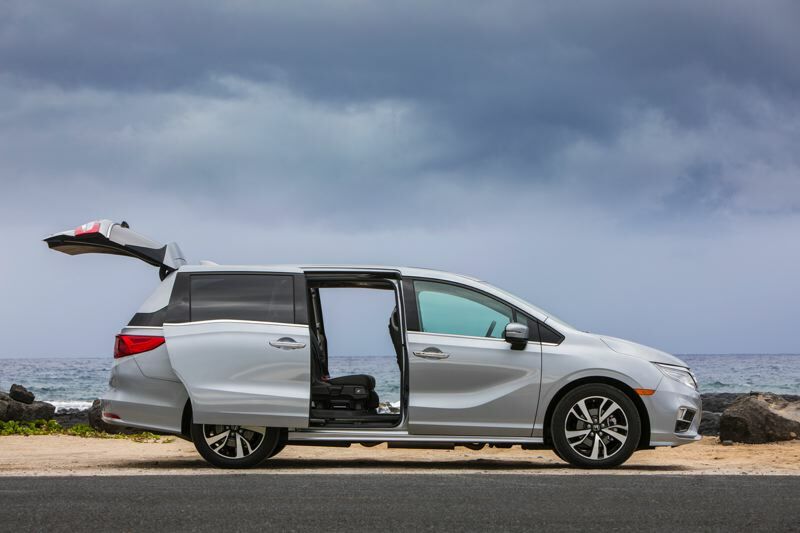 The Honda Odyssey has always been one of the best minivans on the market, and will all the improvements, the redesigned 2018 version is the best of the best. 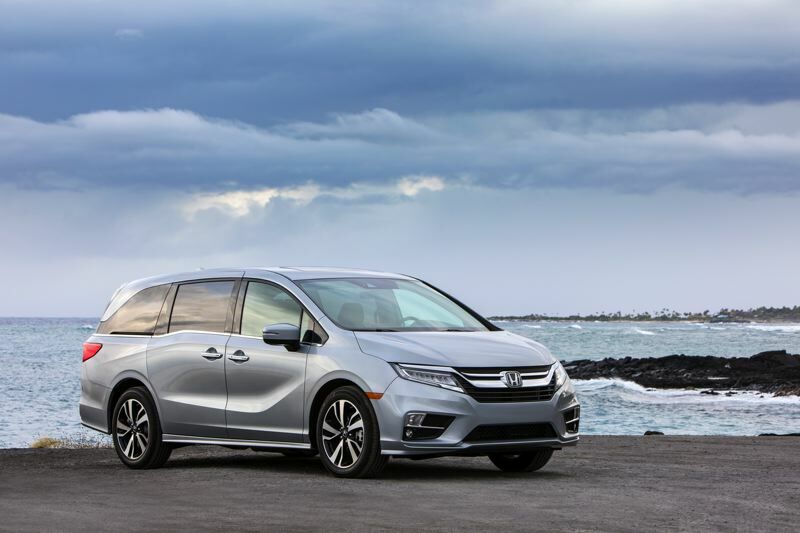 It's hard to say what's more impressive about the redesigned 2018 Honda Odyssey, the physical improvements or the technological innovations. Let's start with the tech stuff first, because it is both radical and designed to help parents keep control of their children (and their friends) in the back two row of seats. 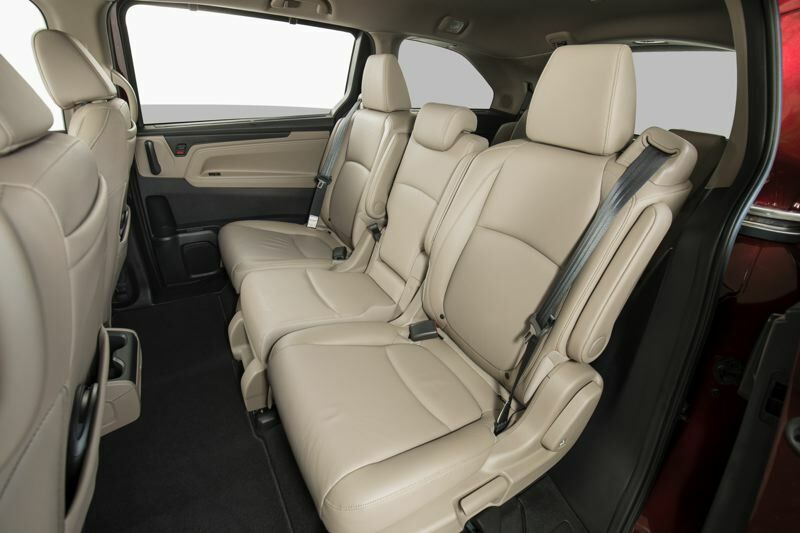 The upgraded rear seat entertainment system, with its own Blue Ray DVD player and WiFi connectivity, should keep them occupied on long trip. But if things get too noisy, the driver or front seat passenger can touch an app on the display screen to shut off the sound system and pipe their voice into the back seats though an intercom system. That should get their attention. If not, another app activates a camera system in the back seats that shows what's happening their on the display screen. It can even zoom in on individual seats with a smartphone-like pinch. And it has night vision. Talk about Big Mother. Such micromanagement might be necessary because of another innovation — a downloadable app that allows anyone to operate such things as radio channels and volumes from their phones. Even the children in the back seat. What could possibly go wrong? But as dazzling as such technologies are, the most important thing to know is, the rest of the 2018 redesign only enhances the Odyssey's exterior list of strong points. With its striking exterior lines, the Odyssey has long been one of the most stylish minvans on the market. Everything has been tweaked to stand out even more in 2018, including the addition of a cosmetic but still distinctive "floating" rear quarter roof panel. Although the engine remains Honda's trusty 3.5-liter V6, it now produces 280 horsepower and 262 pound-feet of torque, up from 248 and 295 respectively. The result is better off-the-line acceleration and freeway passing power. The previous six-speed automatic transmission has been replaced with a non-speed in the lower trim levels and a 10-speed in the upper Touring and Elite ones. Although fuel economy is pretty much the same as last year, the 10-speed automatic in our Elite test Odyssey was noticeably smoother than previous one. Everything feels roomier inside the 2018 Odyssey, which is a major accomplishment because the previous was practically cavernous. 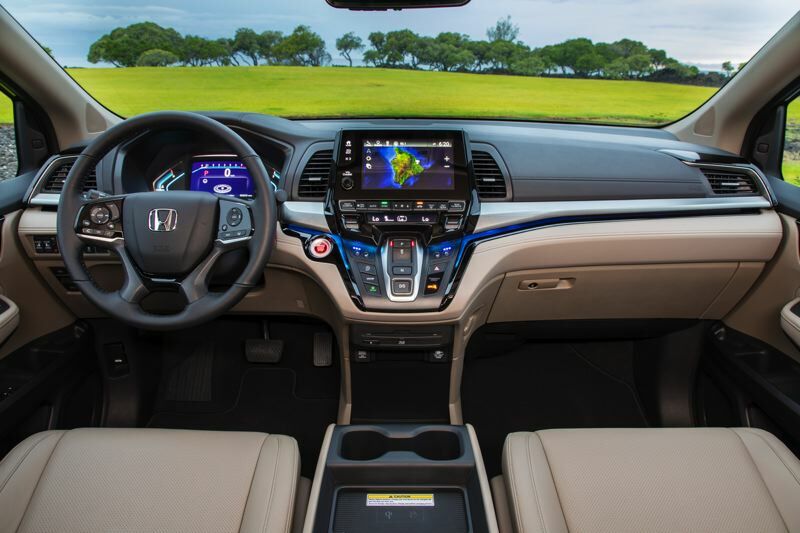 The twin-screen setup of the earlier dash have been replaced with an upright, iPad-like touch screen that seems to hover above the controls, including a push button transmission shifter that first debuted in a number of vehicle's sold by Acura, Honda's luxury brand. It takes a little getting used to, but saves a lot of space. The updated second-row seat design will appeal to a lot of parents. Like in the previous generation, it consists of two outboard seats with a removable center one. Both outboard seats still slide andf tilt, but there's a much great range of sideway movement than before, allowing easier access to the third row of seat. On the road, the 2018 Honda Odyssey is very smooth and quiet. But the more powerful engine gives it a sporty feel lacking in most minivans. Though not a genuine performance "Man Van," it's still more engaging to drive than most of the competition. The 2018 Odyssey starts at $30,930 for a well equipped base LX model and proceeds through six progressively more expensive trim levels to the top-of-the-line Elite version, like the one we drove priced at $47,610. Even the mid-range versions, like the EX-L, comes with a wealth of luxury and safety features. And the Nav & Res trim, which is one step up, adds a navigation and rear seat entertainment systems, as the name says. The 2018 Honda Odyssey is the fifth generation of the company's minivan that first went on sale in 1995. Each generation has been significantly better than the last, making it one of the best choice for families who need to haul a lot of people in comfort, safety and style. That makes the new version the all-time best Odyssey, which is saying a lot.